BRISTOL - Barnes Group Inc. has acquired United Kingdom-based Industrial Gas Springs Group Holdings Ltd. The acquisition will complement Sweden’s Nitrogen Gas Products in the Barnes Group’s portfolio, said William Pitts, director of investor relations for Barnes Group. “They mostly produce products that are used in the tool and die industry and stamping metal parts, such as you might find under the hood of a car or on a refrigerator,” said Pitts of Nitrogen Gas Products. Industrial Gas Springs, a designer, manufacturer and supplier of customized gas springs, has distribution and assembly capacities in the United States. Industrial Gas Springs will operate as part of Nitrogen Gas Products, a manufacturer of nitrogen gas springs and systems used to control stamping presses. Industrial Gas Springs’ markets include general industrial, transportation, aerospace and medical among others. Pitts said that, since coming out of the recession, Barnes Group has put a sharper focus on diversifying the industrial technologies represented in its portfolio of businesses. Since 2012, Barnes Group has acquired six plastic-injecting molding companies: Synventive Molding Solutions in 2012, Manner Solutions for Plastics in 2013, Thermoplay in 2015, Foboha in 2016, Priamus in 2015 and Gammaflux in 2017. 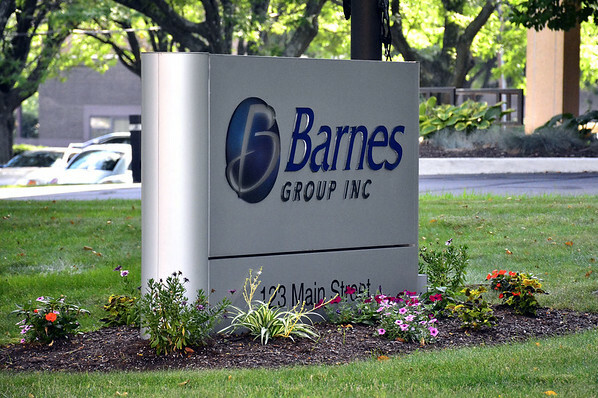 Pitts stated that the transaction “is not material to Barnes Group’s consolidated financial position or liquidity.” He also said this was a “modest acquisition,” but no figure was released. Bristol-based Barnes Group is a global provider of highly engineered products and industrial technologies. Posted in The Bristol Press, Bristol, General Business on Monday, 23 July 2018 21:22. Updated: Monday, 23 July 2018 21:24.